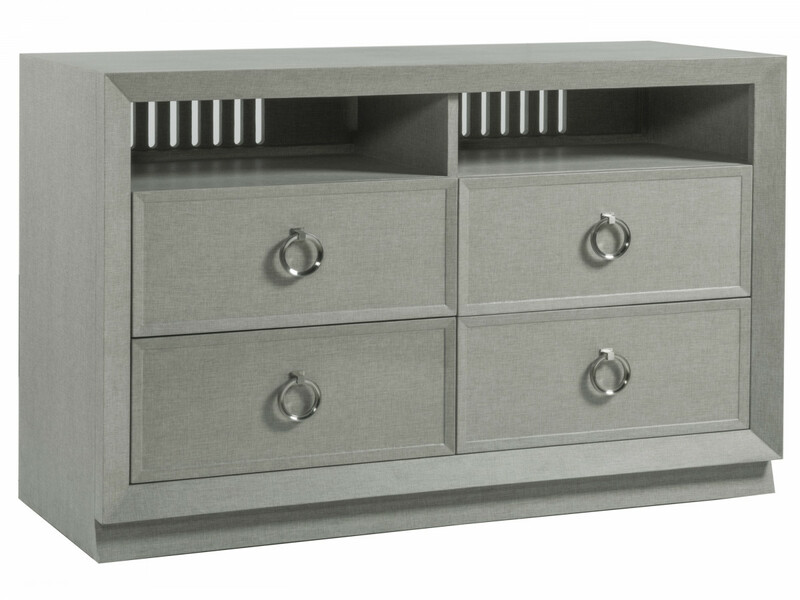 Beautifully proportioned case with architectural lines and repeated chamfered moldings. 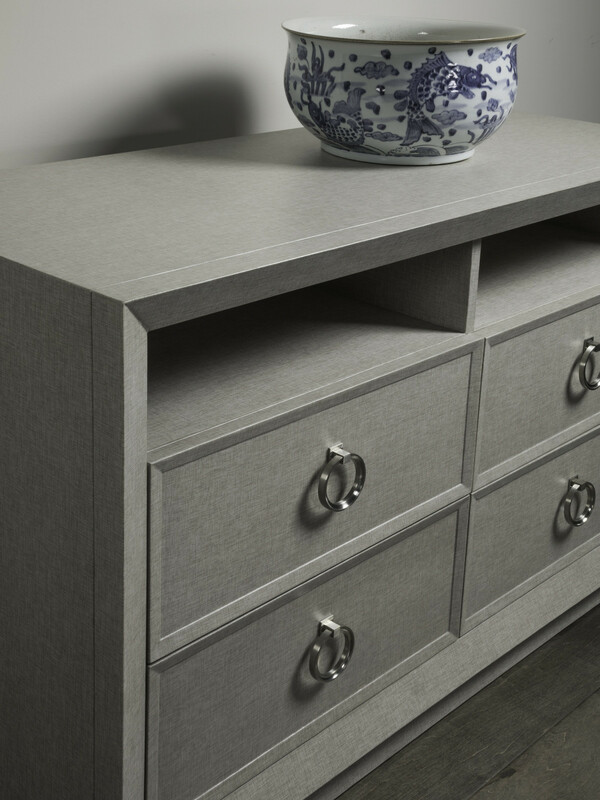 The surface is lacquered performance fabric emulating linen with brushed nickel hardware. 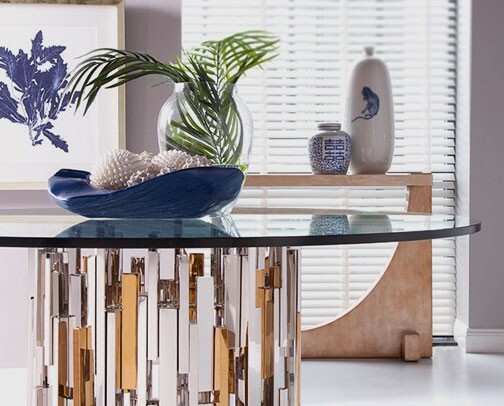 There are four Zeitgeist silhouettes designed to either stand alone or be grouped together in dramatic wall configurations, with the depth differential creating a breakfront effect. 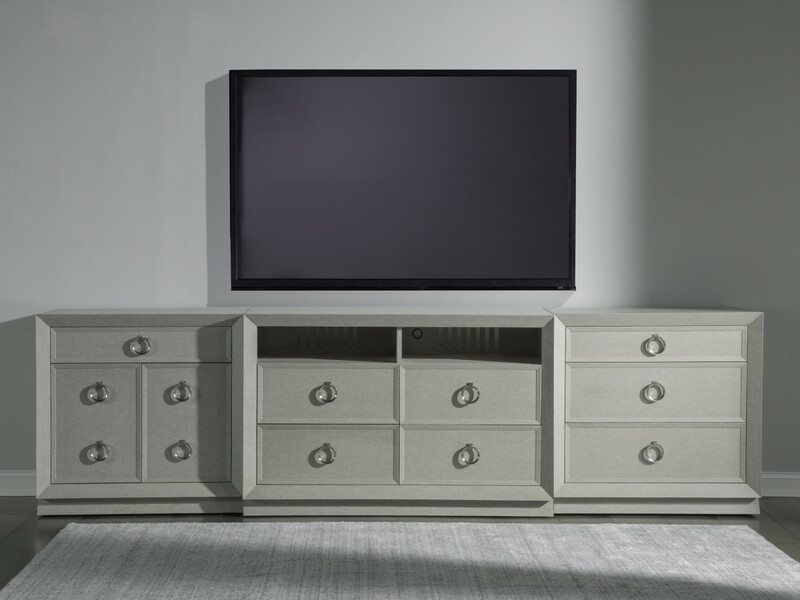 The media console includes four full-extension self closing drawers below two open caompartments with ventilated backs and removable back panels for components. The open compartments are 24.5W x 6.25H each. Dimensions: 54W x 22D x 35H in.